The Federal Reserve recently announced that it would raise interest rates in June 2018 and that two more increases are planned for later in the year. 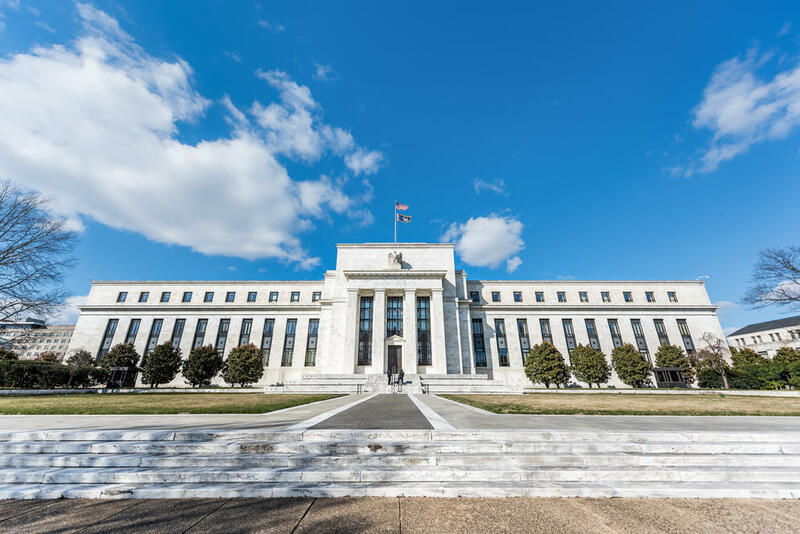 After years of near-zero interest rates following the Great Recession, the June increase marks the second of the year and the seventh since the financial crisis, raising the target range for the federal funds rate to 1.75 to 2 percent. For consumers, rising interest rates can be a double-edge sword. On one hand, it indicates that the overall economy is doing well and may incentivize employers to increase regular and incentive pay. On the other hand, higher interest rates means that borrowing money will be more expensive. When consumers apply for mortgages or auto loans, for example, the amount they pay in interest will now be higher. Because of this, a higher credit score will be even more important in securing good rates than before. To improve your credit, it’s important to understand what factors affect your score. It’s also important to monitor your credit score regularly (either monthly or annually) to identify and dispute errors. Below, the researchers at Credit Sesame, a credit score and financial management platform, compiled a list of factors that determine credit scores and how to improve them. Here are the top five factors, ordered by importance, that affect your score. How to improve: Sign up for automatic payments to avoid missing due dates. Payment history is a measure of whether or not you pay your bills on time, and it is the single most important factor affecting your credit score. Approximately 27% of people in the U.S. between age 18 and 49 miss three or more payments each year, causing their scores to suffer. Every monthly payment you make on time towards any of your accounts helps your credit score, but a single missed payment can damage it. Luckily, most missed payments that are remedied within 30 days aren’t reported to the credit bureaus. Additionally, how impactful a missed payment is on your score can depend on how long the bill goes unpaid past 30 days. Bills 30-days overdue might not be as damaging as those that are 60- or 90-days late. So if you miss a payment, make sure to get it in as quickly as you can. If you’ve struggled in the past to make payments on time, consider signing up for automatic payments on your accounts and/or changing payment due dates to better align with your paycheck and other expenses. How to improve: Request a credit limit increase on your existing accounts or make early payments throughout your billing cycle. At a weight of 30%, credit utilization counts almost as much as payment history towards your ultimate credit score. Credit utilization is simply a ratio of debt to available credit—in other words, how close you are to your credit limit on your revolving credit accounts (e.g. credit cards and lines of credit). With credit utilization, lower is better. For example, if you have an $8,000 combined credit limit across multiple credit cards and you have accumulated $6,000 in total debt across those cards, your utilization ratio would be 75%, which is high. It’s estimated that 40% of Americans are utilizing more than the recommended amount of credit, which is 30%. People with the best credit scores—over 800—use no more than just 7% of their available credit. It’s important to note that even if you pay off your bill in full every month, your credit score can still suffer from high credit utilization. The most obvious way to decrease your utilization ratio is to simply spend less; however, if that’s not an option, another easy way is to request a credit limit increase on your existing accounts. Additionally, making early payments throughout your billing cycle is an option if you are unable to reduce spending or increase your limit. How to improve: Leave your old accounts open. The third most important factor affecting your credit score is the average age of your credit accounts. Lenders assign more points to consumers who have a history of managing their accounts responsibly over long periods of time. Americans with an average account age that’s greater than 11 have an average credit score that’s 112 points higher (745 vs. 633) than those with an average account age between 5 and 10. So what’s the takeaway? Experian recommends leaving old accounts open to demonstrate your ability to manage credit over time. Leaving old accounts open also has the added benefit of lowering your utilization ratio if spending is kept constant. It’s estimated that 49% of U.S. consumers would improve their credit scores by leaving old accounts open. How to improve: Make use of revolving credit and installment loans. Credit agencies prefer consumers with a diverse credit mix, which demonstrates an ability to manage multiple types of credit accounts effectively. Someone scoring high for this factor would have a variety of open accounts, including both installment loans and revolving credit. Installment loans—like mortgages, auto loans, and student loans—are usually for a certain amount of money, have a fixed monthly payment, and a predetermined repayment schedule. Revolving credit accounts—like credit cards and home equity lines of credit—on the other hand, generally have a set credit limit that you can borrow from on a recurring basis. Almost 40% of Americans have just a single credit account, which means that many can benefit from utilizing additional credit products. Since credit diversity is only responsible for 10% of your overall score, taking out a large loan and paying the subsequent interest just to improve your credit mix might not be worth it. On the other hand, if you’ve only ever had a student loan and use a debit card for everyday expenses, substituting the debit card for a credit card could help. How to improve: Avoid regularly opening new credit accounts and avoid opening a large number of accounts over a short period of time. Every time you apply for a new credit account, an inquiry is placed on your credit report. These are known as hard inquiries. While soft inquiries, such as employer checks, self-checks, and prequalifying checks for promotional offers, don’t hurt your score, each hard inquiry can cause your score to drop by a few points temporarily. As discussed before, it’s a good strategy to open new accounts as a way to improve credit utilization and credit diversity, but consistently making excessive requests for credit can ultimately hurt your score. About one in four Americans have what’s considered a high number of inquiries—more than five inquiries per year—and would benefit from fewer hard inquiries on their reports. The data in this report is based on a series of surveys conducted by Credit Sesame in May of 2018. Credit factor weights were sourced directly from the Fair Isaac Corporation.